Compared with commonly used supports such as agarose,7 the new beads offer several distinct advantages: (1) The lack of pores on the beads results in efficient removal of residual proteins during the critical washing steps, as well as easy access for target proteins to the fixed ligand, irrespective of their molecular mass; (2) the extremely small diameter of the beads (0.2 yum) provides a large surface area (1 g of beads has a surface area of 20 m2), giving the beads a relatively high capacity; (3) the presence of GMA and the EGDE spacer arm produces a hydrophilic surface, which minimizes nonspecific protein binding; (4) the chemical and physical stability of the beads permits coupling of ligands in the presence of organic solvents; and (5) activation of the beads is not required for ligand coupling, because the bead surface contains chemically active epoxy groups derived from EGDE, allowing drug amino derivatives to be coupled to the beads easily by simple mixing. These advantages have enabled us to identify drug receptors directly from crude cell extracts within a few hours. 6N. Shimizu, K. Sugimoto, J. Tang, T. Nishi, I. Sato, M. Hiramoto, S. Aizawa, M. Hatakeyama, R. Ohba, H. Hatori, T. Yoshikawa, F. Suzuki, A. Oomori, H. Tanaka, H. Kawaguchi, H. Watanabe, and H. Handa, Nat. Biotechnol. 18, 877 (2000). 7 M. W. Harding, A. Galat, D. E. Uehling, and S. L. Schreiber, Nature (London) 341, 758 (1989). Latex beads are prepared as described.4 Briefly, GMA, St, and divinylbenzene (DVB) are used as monomers. To prepare the latex beads, 1.8 g of GMA, 1.2 g of St, and 0.04 g of DVB are mixed in 110 ml of distilled water in a 200-ml three-necked round-bottom flask equipped with a stirrer, a nitrogen gas inlet, and a condenser. To purge oxygen from the mixture, nitrogen gas is passed through the mixture, which is then kept at 70° in a water bath. Distilled water (10 ml) containing 0.06 g of azobisamidinopropane dihydrochloride is then added to initiate soap-free emulsion polymerization. Because the resulting GMA-St copolymer has a partially hydrophobic surface due to exposed polystyrene microdomains, 0.3 g of GMA is added to the mixture 2 hr after the initiation of polymerization. The mixture is then allowed to stand for 24 hr until the whole surface of the copolymer is covered with poly (GMA). The beads, containing epoxy groups on their surfaces derived from GMA, are collected by centrifugation, and washed three times with distilled water before being suspended in distilled water at a final concentration of 10% (v/v). The beads can be stored at 4°. Determination of the concentration of epoxy groups on the beads is performed by back titration of hydrogen ions. The concentration of hydrogen ions is measured after a known excess of hydrochloric acid is allowed to react with the epoxy groups. Specifically, known quantities (0.1,0.2, and 0.4 g) of latex beads are mixed with 3.6 ml of 1 M HCl-CaCl2 and 60 ml of distilled water in a 100-ml beaker. The mixture is covered with Parafilm and shaken for 3 hr at 40° to open the epoxy rings. After the reaction, 14.4 ml of 0.5 M KOH is added to the mixture, which is kept standing for 15 min at room temperature. Conductometric titration of the latex beads is then carried out with 0.1 M HC1. with 0.1 M NaOH, and the dispersion is titrated with 0.01 M HC1 by using a TOA (South San Francisco, CA) conductometer AUT-3000/FUT-3040/ABT-1010. The concentration of amino groups on the bead surfaces is calculated on the basis of inflection points derived from the conductometric titration curve. The standard concentration of amino groups obtained is 0.4-0.6 mmol/g beads. The second step is the coupling of EGDE with the amino groups on the surfaces of the SGN beads. The SGN beads are incubated with 100 mmol of EGDE at 30° for 24 hr at pH 11, and then washed with distilled water (SGNEGDE beads). In this reaction, excess amounts of EGDE are used in order to prevent them from coupling at both their ends. The concentration of epoxy groups at the uncoupled ends of spacers is calculated as described above. The SGNEGDE beads are suspended in 20 volumes of distilled water and stored at 4° until use. Transfer an aliquot containing 10 mg of beads with a 200-Atl tip to a 2.0-ml flat-bottomed microcentrifuge tube with a screw cap and collect the beads by centrifugation at 15,000 rpm (18,000g) for 5 min at room temperature. Add 1 ml of the solvent used in the coupling reaction, for example, distilled water, phosphate buffer, or 1,4-dioxane, and vortex for at least 2 min until the beads are completely resuspended. Centrifuge as described above and discard the cleared supernatant. Repeat this washing process twice. In the case of the E3330 amino derivative, (£')-3-[2-(5,6-dimethoxy-3-methyl-l,4-benzoquinonyl)]-2-(9-aminononyl) propenoic acid (NH2-E3330), incubate 10 mg of SGNEGDE beads with 10 Mmol of NH2-E3330 in 0.5 ml of 1,4-dioxane at 37° for 24 hr.6 Occasional mixing during the incubation is likely to increase the drug-coupling efficiency. We usually put a micro stirrer bar into the reaction tube, and keep the reaction mixture agitated by using a magnetic stirrer. Collect the beads bearing the drug by centrifugation at 15,000 rpm for a few minutes at room temperature and wash them three times with 200 /il of 1,4-dioxane. After this, resuspend the beads in 1 ml of 1 M Tris-HCl (pH 7.4), and incubate at 4° for 24 hr to inactivate the unreacted epoxy groups on the beads. This inactivating step is not always necessary. Generally, approximately 15% of the NH2-E3330 is immobilized. The beads can be stored at 4°. The main advantage of using the drug affinity beads is the ability to perform one-step purification of drug-binding proteins from crude cell extracts. However, optimal binding conditions should be carefully established. The effects of the composition of binding buffer (pH, concentration and valency of salt, and concentration of detergent), temperature, amount of immobilized drugs, concentration of crude cell extract, and incubation time are some of the variables that should be optimized by a small-scale purification. 8 J. D. Dignam, R. M. Lebovitz, and R. G. Roeder, Nucleic Acids Res. 11, 1475 (1983). 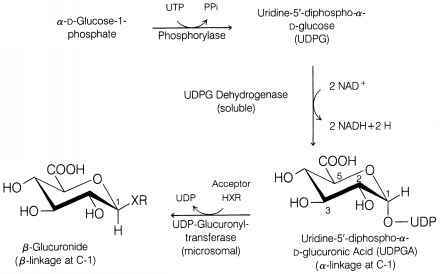 protein analyzed by SDS-PAGE. A major protein with a molecular weight of 12,000, which was previously identified as FK506-binding protein (FKBP), was purified with high specificity directly from the crude cytoplasmic fraction (Fig. ID). In contrast, when FK506-fixed agarose resin was used in the same manner as the latex system, increased background levels of protein staining were observed on the SDS-polyacrylamide gel and recovery of the specific binding protein was minimal. Although extensive washing reduced the background binding to the agarose resins, the yield of FKBP was also reduced. In other words, FKBP was present in the agarose resin-purified fraction but at a reduced level. These results demonstrate that latex beads have high binding efficiency and low nonspecific adsorption properties, indicating that they are superior to agarose resins for identifying drug receptors. Drugs are coupled to the latex beads through the reaction of the amino groups on the drugs with epoxy groups on the beads. This reaction is easily inhibited by the presence of other amino groups. To couple drugs to the latex beads efficiently, it is necessary to eliminate other amino groups. Furthermore, it is useful to try a variety of solvents for the coupling reaction. However, use of solvents containing amino groups, hydroxyl groups, carboxyl groups, or sulfonic groups should be avoided in the coupling reaction because these functional groups display variable binding activity for epoxy groups. In the case of E3330, we tried a variety of solvents such as 10 mM phosphate buffer, dimethyl sulfoxide, ./V,TV-dimethyl formamide, and 1,4-dioxane. We found that the use of 1,4-dioxane as the solvent in the coupling reaction produced the best coupling efficiency with the drug, and high recovery rates of pure protein. Because the optimal pH in the coupling reaction between epoxy groups and amino groups is about pH 11, the reaction should be performed at this pH, or as near as possible to this pH depending on the stability of the drug. Similarly, it may be possible to raise the reaction temperature and to extend the incubation period. An important point to note is that the beads bearing high concentrations of drug are not necessarily the most effective for purification of target proteins. These beads tend to aggregate, and occasionally diminish the quality of purified proteins. We therefore recommend optimizing the concentration of drugs used in the coupling reaction. There are three main reasons for failure to recover drug-binding activity. 1. Improper binding conditions: This may be resolved by determining again the optimal binding conditions. The binding conditions can be affected by factors such as the composition of the binding buffer (pH, concentration and valency of salt, concentration of detergent), temperature, amount of immobilized drugs, concentration of crude cell extract, and incubation time. 2. Nonspecific adsorption to tips and tubes: This can be reduced by the addition of 0.01-0.1% (v/v) detergent such as Nonidet P-40, Triton X-100, or Tween 20 to the buffer. Siliconization of plastic ware is also effective, although it is not always necessary. 3. Inefficient coupling reactions or improper storage of the drug-fixed latex beads: Optimization of the coupling reaction was mentioned above. The drug-fixed latex beads can be stored at 4° for more than 1 year; however, this will depend on the stability of the drug in the storage buffer. Sometimes multiple bands are observed when the purified fraction is subjected to SDS-PAGE. The main reason for this is insufficient washing of the affinity beads. Because the beads have a tendency to stick together, latex beads must be resuspended well in the washing buffer with vigorous agitation. A middle washing buffer, containing 0.2 to 0.3 M NaCl or KC1, is also effective in reducing background protein levels. Use of this wash is dependent on the characteristics of the drug-drug-binding factor interaction and, therefore, it should be confirmed that the drug-binding protein is not eluted by the middle washing buffer. The best washing condition can be determined by performing small-scale purifications. Prepare five tubes, each containing 100 fi 1 of cell extract, mix the extracts with the affinity beads, and wash three times with buffer D. Wash each sample three more times with buffer D containing various concentrations of salt (usually from 0.1 to 0.5 M), respectively, and then elute the bound proteins with buffer D containing 1.0 M KC1. Sometimes elution buffer containing a lower salt concentration enables isolation of a protein of higher purity. The optimal salt concentration of the elution buffer can be determined by a small-scale purification experiment as just described. To improve the quality of purified proteins, use of an elution buffer containing an excess amount of free drug instead of a high concentration of salt is often effective. Nonspecific adsorption of proteins to the affinity beads can be reduced by adding to the buffer one of the detergents mentioned previously (0.01-0.1 %, v/v). Another way to reduce nonspecific adsorption to the latex beads is as follows. Before mixing with drug-fixed latex beads, cell extracts are added to a 1.5-ml microcentrifuge tube containing SGNEGDE beads with inactivated epoxy groups. After mixing and incubation on ice for 30 min with occasional agitation, the suspensions are centrifuged at 15,000 rpm for 5 min to clarify the supernatant. The supernatant is then transferred to a 1.5-ml tube containing the drug-fixed latex beads and the remainder of the regular purification procedure is carried out as described above.